New York State Amateur Hockey Association Scholarship- Each year the New York State Amateur Hockey Association Bob Allen Scholarships of $1000 each are awarded to four High School Seniors going on to college. The scholarships are awarded based on the individualsÃ¢â‚¬â„¢ participation at school, with their community, and involvement in youth sports. Each Scholarship is given directly to the winners upon verification of enrollment at college. SCHSHL Scholarship *- Each year, the SCHSHL offers three scholarships of $500.00 each to its graduating seniors going on to college. Ã¢â‚¬â€œ Fran Riggio Memorial Scholarship Ã¢â‚¬â€œ Richie Lowis Memorial Scholarship Ã¢â‚¬â€œ Mary Venticinque Memorial Scholarship Each Scholarship is given to the winners at the completion of their 1st college semester. 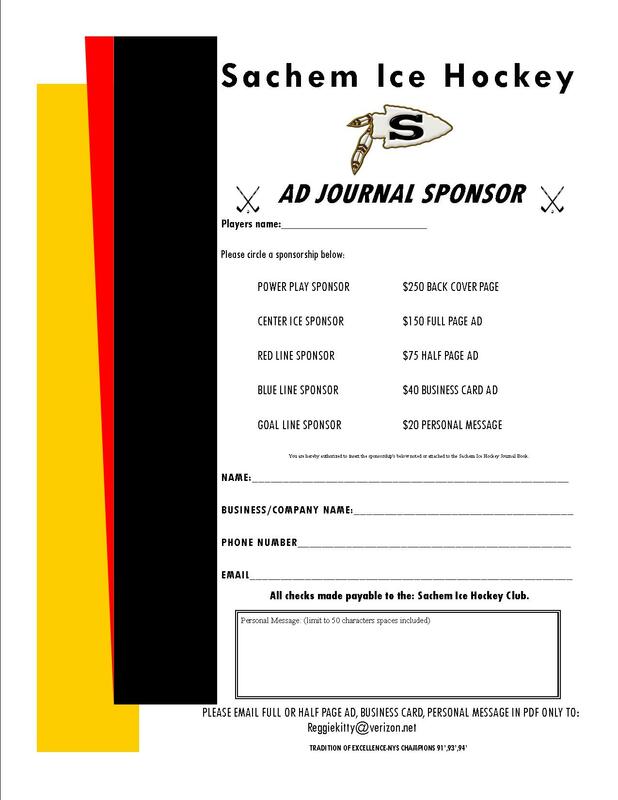 Todd Keleman Memorial Scholarship *- The scholarship awards a graduating senior who has demonstrated good sportsmanship, academic achievement and dedication to the Sachem Ice Hockey Club. The Keleman family with input from the Board and Coaches shall select the number of recipients and dollar value. The award will be presented at both the Annual Awards Dinner and the Sachem East and North Scholarship Night.